I'll be the first to admit if you're in search of an active nightlife, Palos Verdes is not the place to find it. However, despair not, as all you must do to find it is drop off "The Hill" and hug the coast. Once you hit Pacific Coast Highway you'll find the beach cities awake and hopping. 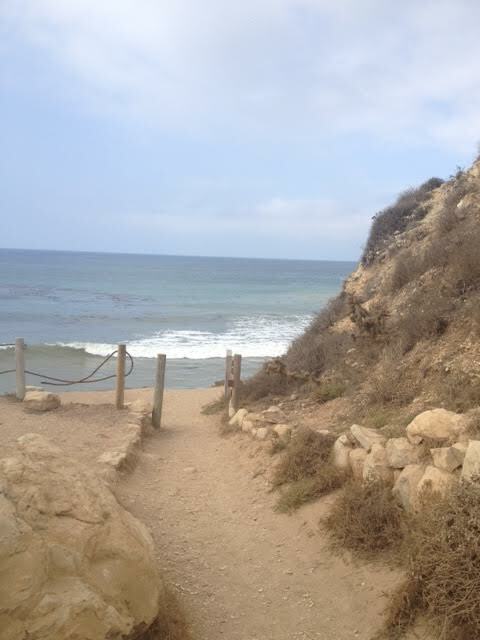 On the other hand, if you're in need of a daily dose of peace and serenity--a little rejuvenation for the soul, I can think of few places better than settling down in one of the most striking, naturally beautiful places along the Southern California coastline. Mother Nature was in a particularly creative and generous mood when she gave miles of coastline, towering cliffs and impressive hills to the Palos Verdes Peninsula. Fortunately, the residents continue to take great care and pride in the land and location. We have open space, miles of hiking trails and horse trails. Our shopping options may be limited but the view are unlimited. Whether you prefer the open ocean or the twinkling lights of Los Angeles, views encircle the Palos Verdes Peninsula and the one you choose is up to you. Some people love the gym, but I prefer to do my sweating on the trails above the Pacific Ocean and along the edge of the sea with the water lapping at my feet, the salt air in my nostrils and the roar of the waves in my ear. The natural beauty pleases my senses as I workout my body. It's simply a wonderful treat for the eyes, body and soul. Here's to more walks in 2014!